Shadow box ornament with "Believe" and "Petaloo"
Hey everyone, it's Hilary here today, and oh what fun week this is. 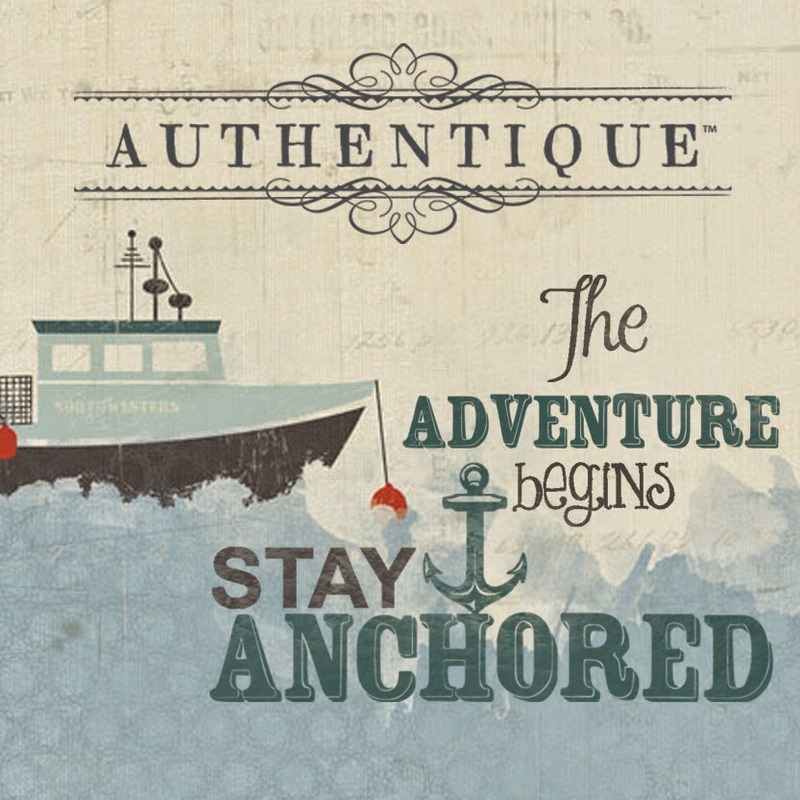 Authentique Paper and Petaloo have teamed up to bring you some amazing projects this week. For my project today I created a shadow box ornament using the "Believe" collection along with "Darjeeling Teastained Dahlias" by Petaloo. I hope you enjoy! I love this "Believe" collection, it is perfect for every project you wish to create, and I knew these papers would create a sweet shadow box ornament and when combined with these fabulous Red teastained Dahlia's, it's a perfect match. 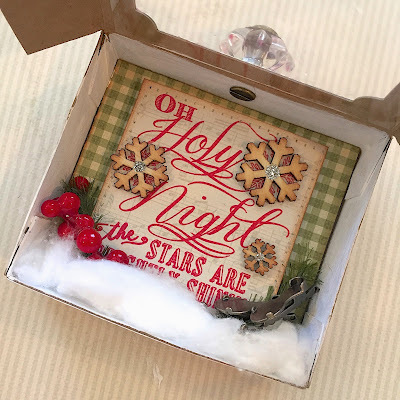 For this shadow box ornament, I used the "Shadow box" die from Sizzix to first die cut my chipboard, then after assembling it all together I adhered the Dahlia's to the outside of the box. I love the distressed, textured feel of these Dahlia's. They are among my all time favorite floral embellishment. Would you like to see how I created this ornament? 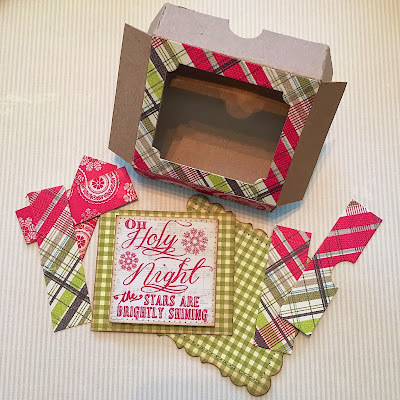 First you will need to gather some chipboard along with your die cut machine, (I used a Sizzix Big Shot along with a crease pad), and your collection of papers. The next step is to die cut all your pieces, and then fold on the scored lines. Adhere your papers to the chipboard however you'd like using a very good permanent adhesive. 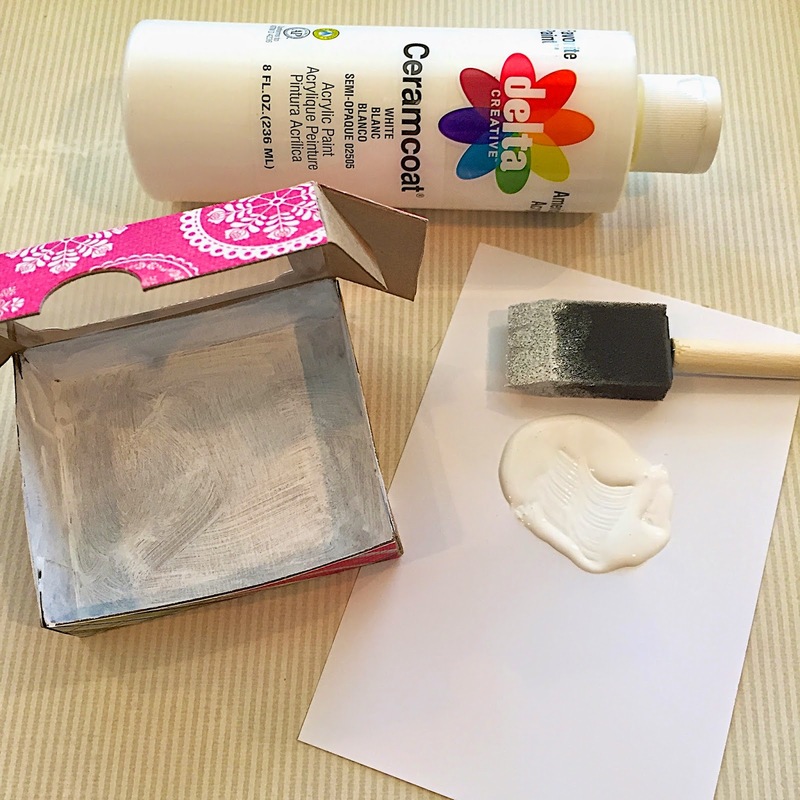 Sand the edges and ink with distressing ink for a vintage look. Next for the inside of the shadow box, I trimmed the pattern paper to the exact size of the back of the shadow box, and then using your pattern paper, cut out the sentiment for the front. I added a little stitching to make sweet, then added some wooden snowflakes, (dabbed with a little silver Stickles in the middle), and a berry sprig at the bottom. Hot glue the embellishments on. Now you have about an inch of width to play with, and since I wanted to my sentiment to be 'suspended' more toward the middle of the shadow box, I added a few pieces of foam tape to the back of the sentiment, and also to the back of the green check paper. Next step, adhere a small piece of transparency paper to the inside of the window frame using a good permanent adhesive. Now I must confess, I had every intention of painting this step earlier on, but if you'd like, give the inside of your shadowbox and brushing of white acrylic paint, (this will prevent you from seeing raw chipboard, if you're looking into the shadowbox towards the side. It's totally a personal choice. After the paint dries, come the fun part. Adhere the sentiment middle, (with all the foam tape on the back) into the shadow box. Next, using a small cotton ball, un-fluff it and adhere it down for a snowy scene. 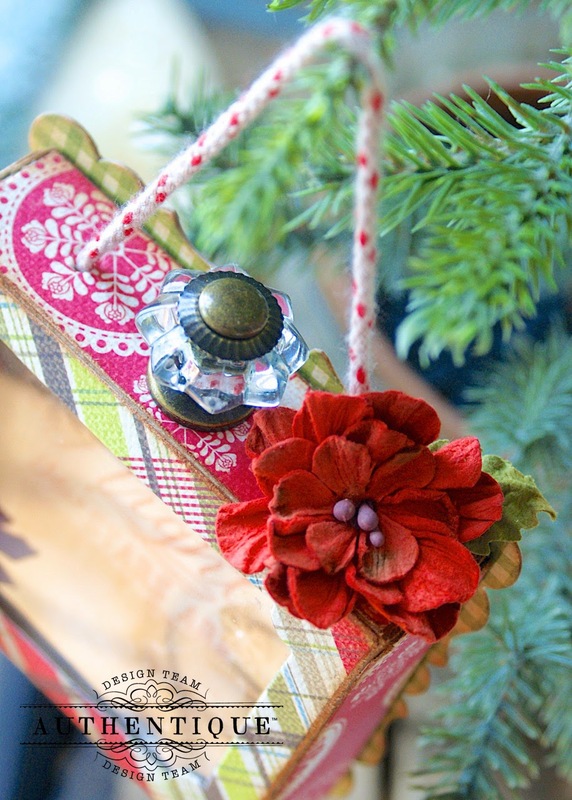 Continue adding as many fun embellishments as you'd like, I adhered a small berry sprig with pine branch to the one side, and along the other, I adhered a pair of vintage metal ice-skates. 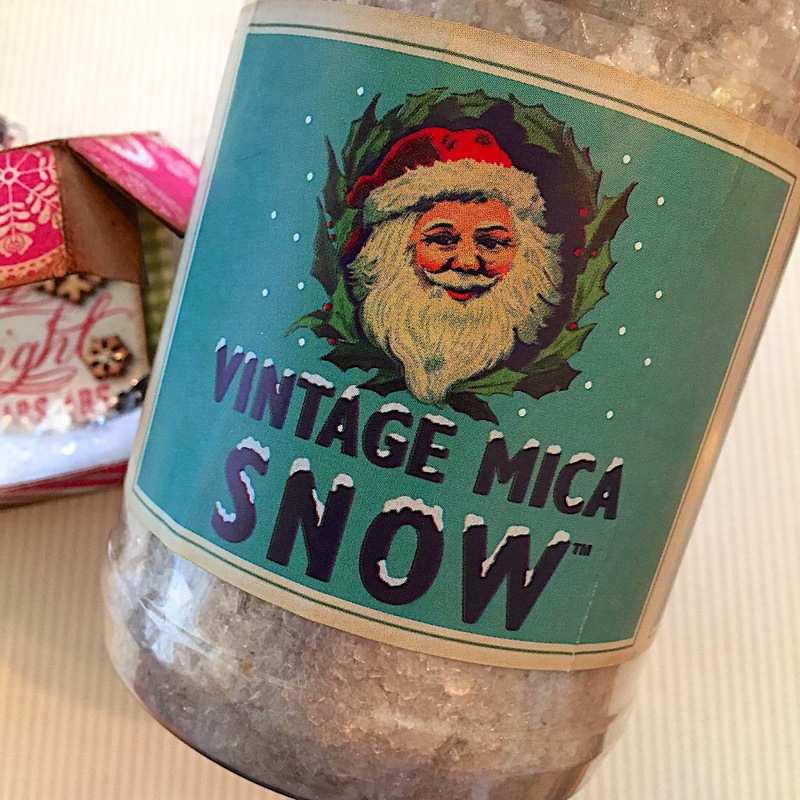 For a fun vintage look and a true snowy scene, add a pinch of Vintage Mica snow onto the top of the cotton. I love Mica Snow, it's just perfect for this project. Now before you go and glue it all shut, add a small vintage drawer pull at the top, (just make a small hole and the screw will push up from the inside, and the top pull will screw on over it. Then making two additional holes on either side of the drawer pull, add your ribbon hanger, and knot it on the inside, to prevent it from pulling through. Now you can finish by gluing the top down, (I used hot glue for this), and glueing the box to the backing. Then as a final touch, adhere those ultra adorable teastained Dahlia's to the outside of your shadow box. 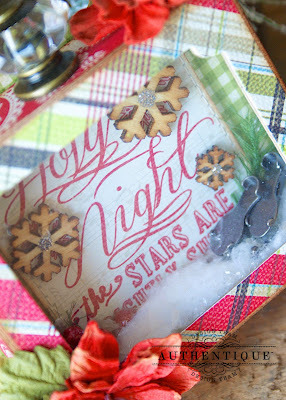 I really hope you enjoyed my project today, and I hope this inspires you to create a shadow box ornament for yourself. Vintage Photo distressing ink, sanding block, wooden snowflake embellishments, glass drawer pull, (Tim Holtz), ribbon for hanger, (Tim Holtz), metal ice skates embellishments, (Tim Holtz), cotton, small berry sprig, white acrylic paint with foam brush, Vintage Mica Snow, silver Stickles, foam tape, hot glue, permanent tape runner and wet glue. Thoroughly delightful shadow box ornament. A set of these would make wonderful keepsakes, or, depending on the papers used, a charming Christmas countdown. The easy-to-follow tutorial adds to incentive to create one (or several *grin*) of these myself! Thank you! Oh my jolly goodness, I am in total love with this. I need to make some of these. What a cute ornament...this gives me lots of ideas! What a beautiful project! I like bright, unconventional Christmas colors. oh my goodness....this is beyond beautiful! thanks for the awesome inspiration! This is a beautiful ornament!!! LOVE those poinsettias and the paper ROCKS!!! TFS! This would be great to disply old and sentimental orniments that are broken and can't hang on the tree. Great Idea! this is so pretty. The basic idea can be used for so many occasions too. thanks for sharing a great idea. 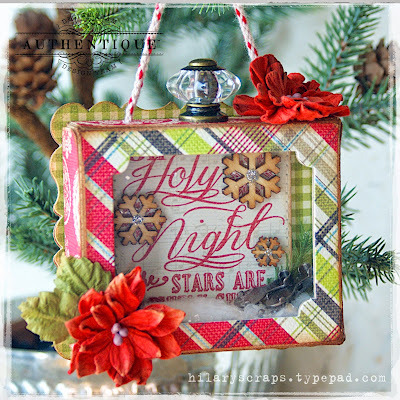 Love the shadowbox ornament! They would make such unique Christmas gifts when geared to the recipient. Thanks for the inspiration! Beautiful ornament! Looks like a lot of fun to make it too! 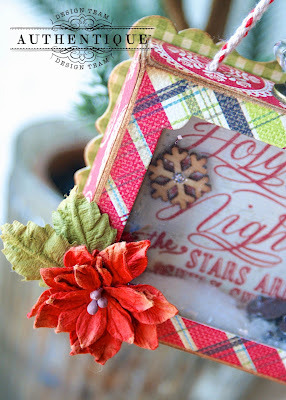 Beautiful shadow box - really adds to the Holiday atmosphere! 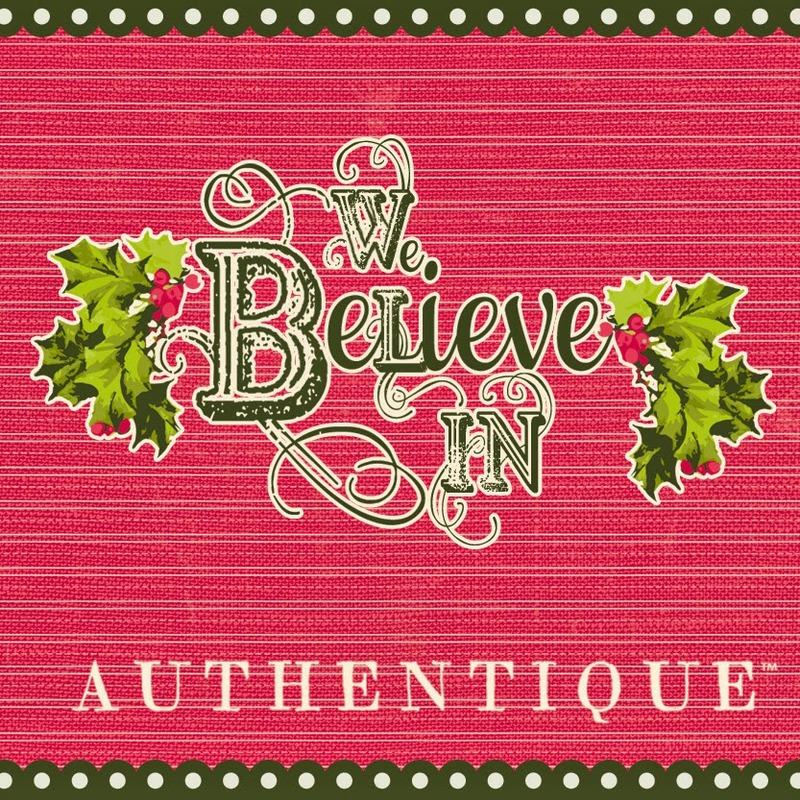 Great papers and embellishments. Thanks for the tutorial, like to give it a try. 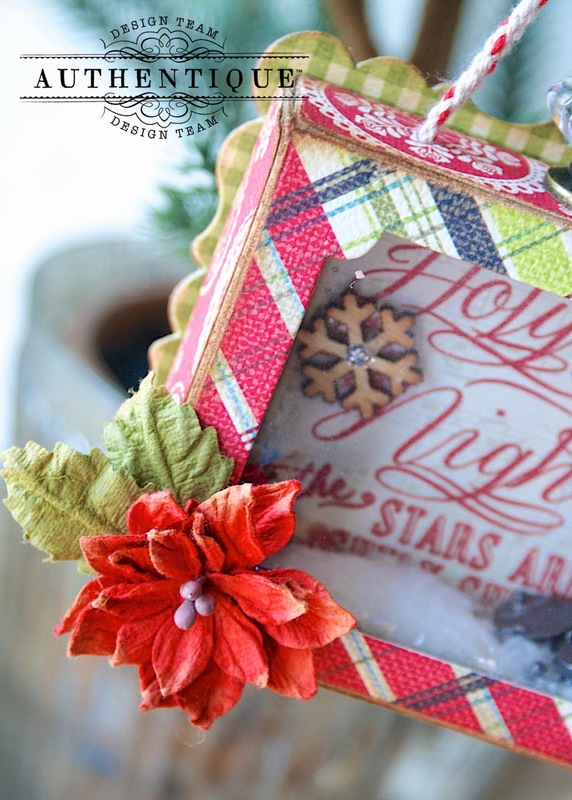 Wow, this shadow box ornament is amazing! I love the embellishments and details. What a fantastic ornament! 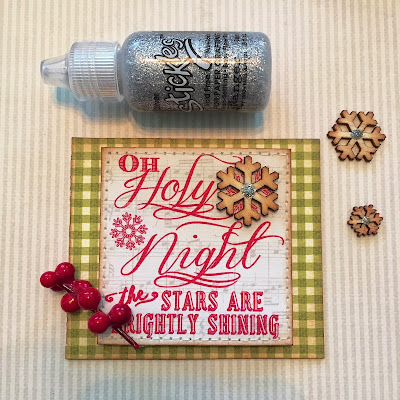 This will shine on your tree! Love it! What a unique ornament. Love the papers for this. Thanks for sharing and the tutorial. This is really an ornate tree ornament. I love the vintage mica snow. This is my favorite holiday project that I have seen this year! Love it! Great job. Love the flowers, mica idea, paper, knob on top. Awesome idea! Thanks for sharing. This shadow box ornament idea would also work well as little gifts to just hang on walls etc, and decorated to match peoples decor!! TFS!! Love this idea it is absolutely beautiful. Can't wait to make it for my friends. I believe that Authentique and Petaloo is a winning combination. 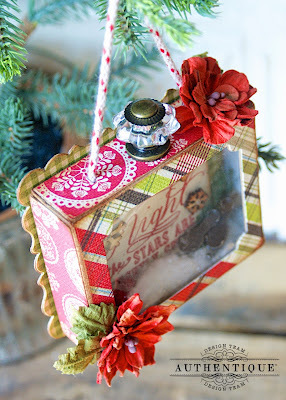 What a cute idea for an ornament. Would make a great little gift too. That is gorgeous! Love the snowflakes. LOVE IT!!! This SCREAMS traditional Christmas!! 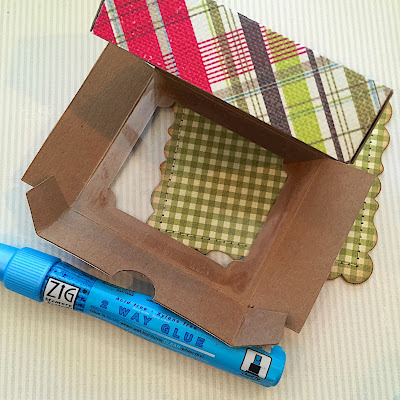 Adorable shadow box! Thanks for sharing! What a fantastic idea. You've got my mind spinnin. I love it! TFS! This is simply adorable, I really LOVE it. Thanks for sharing the directions on how to make it, gonna go find the paper asap! This is so awesome!!! I was wondering what the metal things in the corner were. Duh! Skates. So perfect. Brilliant and love the ornament!! The Believe collection is such retro colors and vintage images that it becomes overwhelmingly fun to see all the fantastic projects using it, like the shadow box ornament you made! Superb! Such a gorgeous ornament! I love all of the gorgeous papers and the wonderful layers! I never think to do fun stuff like this with my paper products so thank you for inspiring me to think outside of the envelope on this! THANK YOU for sharing your CREATIVE INSPIRATION and tutorial too!!! Love this ornament. The papers are just gorgeous!!! !